It’s hard to believe, but it already been two years since the digital adaptation of Sentinels of the Multiverse had its public debut at Gen Con 2014. 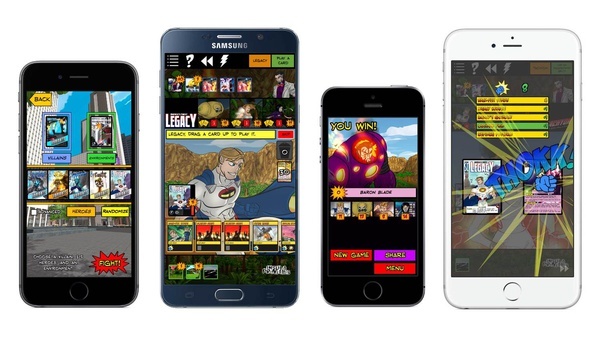 To celebrate the anniversary, developer Handelabra Studio has chosen today (the opening day of Gen Con 2016) to release the highly anticipated FREE v2.0 update which adds (among other things) iPhone/iPod Touch support. Yep, The Multiverse has gone Universal! They spent the last two years trying to figure out the best possible way to translate the experience to the smaller screen in a way that was not only functional, but enjoyable and intuitive as well. As I mentioned, the update is completely free to existing owners of the previously iPad-only app and all of your previously purchased iOS DLC will work on your iPhone / iPod touch as well. They are also using this occasion to launch a week-long “Mobile Launch Sale” in which they have slashed prices on not only the main app, which is $2.99 (70%) off, but all of the game’s expansion IAPs as well. Until now, Sentinels on iOS required iOS 6 or later, however in order to be able to take advantage of the latest iOS features, Version 2.0 of Sentinels on iOS will require iOS 9 or later. If for some reason you do not wish to (or can’t) update your device to iOS 9, you can continue to use the existing version of Sentinels (including all Season 1 expansions) on your device. However, you will not receive any updates to Sentinels until you upgrade to iOS 9 or later.